On 27 January 2019, a diocesan priest for the Catholic Diocese of Sambalpur, Dn. Noas Toppo got ordained as a priest at Holy Trinity Church, Jhorabahal of the Catholic Diocese of Rourkela by Most Rev. 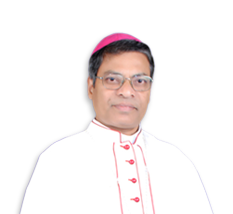 Niranjan Sualsingh, Bishop of the Catholic Diocese of Sambalpur. He became the 68th priest of the diocese of Sambalpur. He is a very simple and humble priest. There is no guile in him. He is friendly and sociable to all wherever he was doing his ministry. Therefore, he could gather lot of friends and close relatives for his priestly ordination. He was born on 14 June 1982 at Saliatoli, Patua and was baptized on 27 May 1999 at Holy Trinity Church, Jhorabahal. He is the youngest son of Mr. Johan Toppo and Mrs. Valeria Toppo. He has two brothers and a sister. 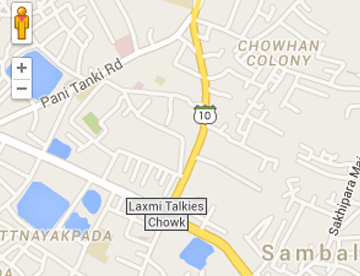 He did his schooling at Patua. After completing his 10th class, he joined to Jyoti Bhavan Minor Seminary and started his formation life of priesthood. He did his spirituality course at Jatni, Khurda. He was promoted for his philosophy to Morning Star, Barasat, Kolkatta. After completing his philosophical and graduation studies, he was sent for a mission and pastoral experience at St. Xavier’s Catholic Church, Majhapara. He was sent for theology at Khristo Jyoti Regional Theologate, Sason Sambalpur. 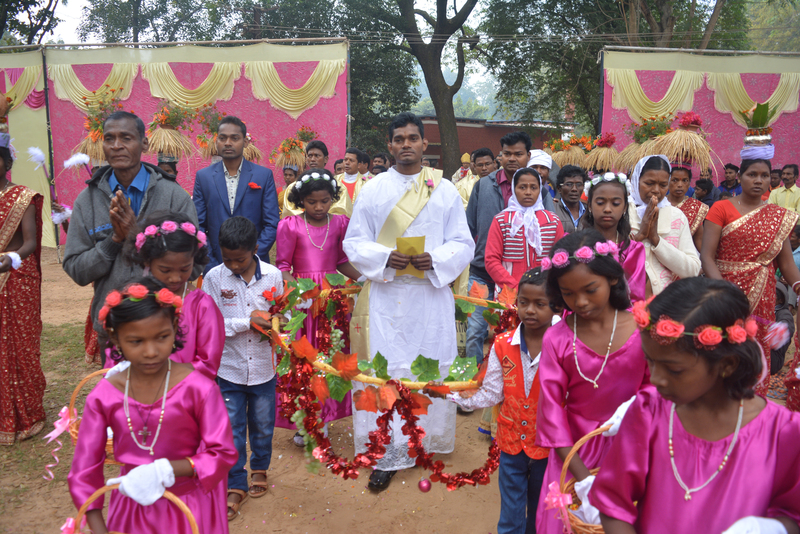 On 13 April 2018, he was ordained as a deacon at Nitya Sahaya Mata Church, Rajamunda, Deogarh and he completed his diaconate ministry in that same parish. The Catholic Diocese of Sambalpur has got a new priest on 27 January 2019. Fr. Noas Toppo has taken the theme for his priestly ordination “Fear not, for I am with you”. He accepted Christ in his life, when he was at the age of 19. He had the ability to decide and discern his life. He chose to follow Christ. Not only had that he committed himself to work for his vineyard by becoming a priest to the Catholic Diocese of Sambalpur. 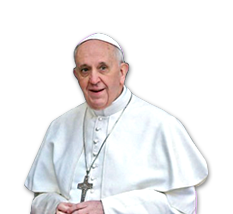 He went through various vicissitudes of life in becoming strong in his faith and vocation. However, as he took the theme for his ordination “Fear not, for I am with you” has helped him in a lot to fight back the odds of life and in his growth. The Catholic Diocese of Sambalpur is happy to accept and welcome him in Presbytery of Sambalpur, wishes him all the success and best of life in his priestly ministry in years to come.